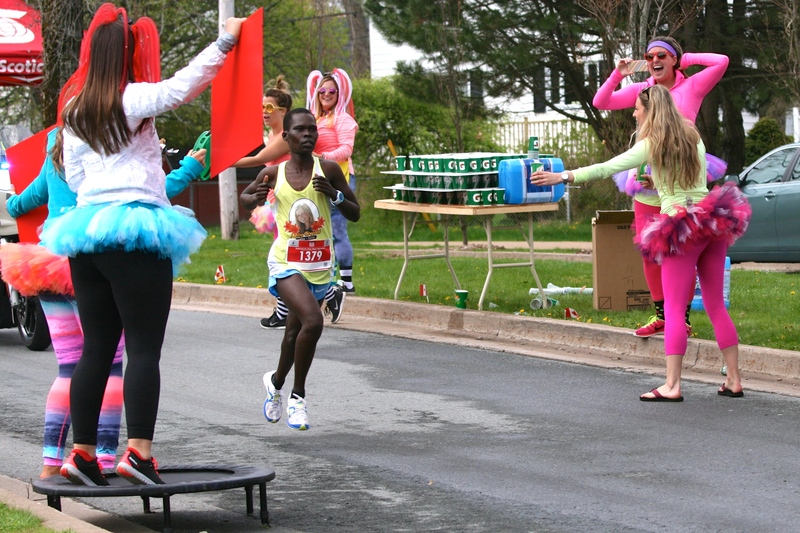 Runners in the half and full marathons found a water station like no other on Kenny Street, near Needham Recreation Centre. 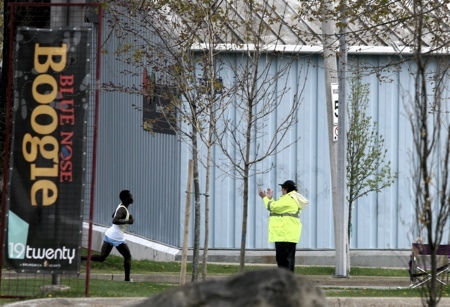 Sarah Jebet, of Kenya, is all business as she runs through the North End on her way to the women’s title and a record time at the Blue Nose Marathon on Sunday. 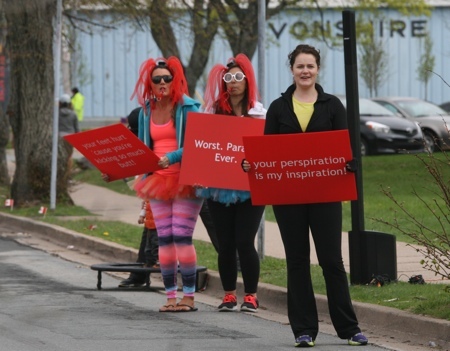 A surreal scene at the water station on Kenny Street, in front of the Needham Recreation Centre. 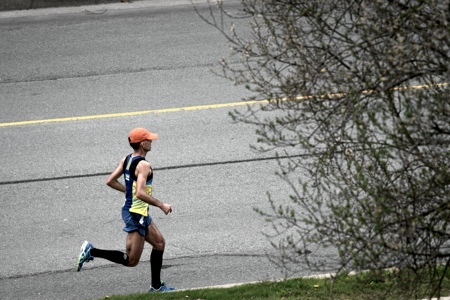 A marathoner runs alone on Novalea this morning. 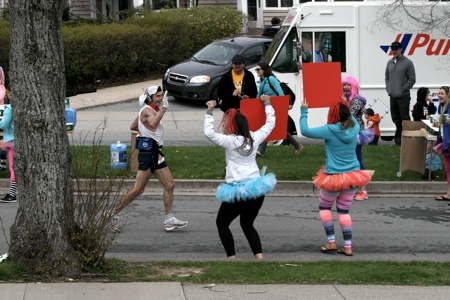 A course marshal cheers on Sarah Jebet as she runs past the Devonshire Rink. 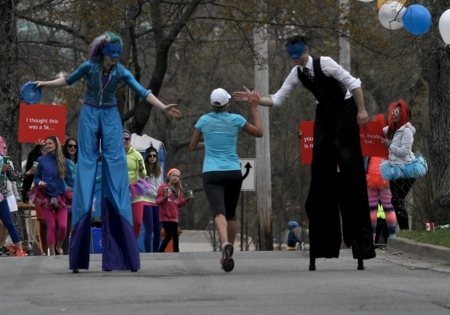 Does anyone know the band that played at the Kenny Street water station for Blue Nose? A three-piece including a trumpeter and drummer? We want them for our street party! Please send any contact info.